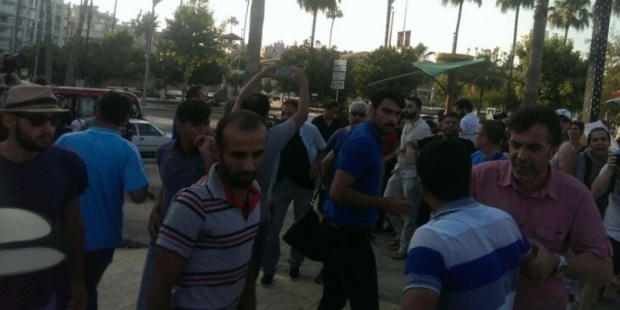 A group of homophobic people allegedly from a nationalist youth movement called “Köklü Değişim” [Radical Change] on Sunday attacked tens of people attending the Mersin Pride Parade to show their support for sexual and gender diversity. 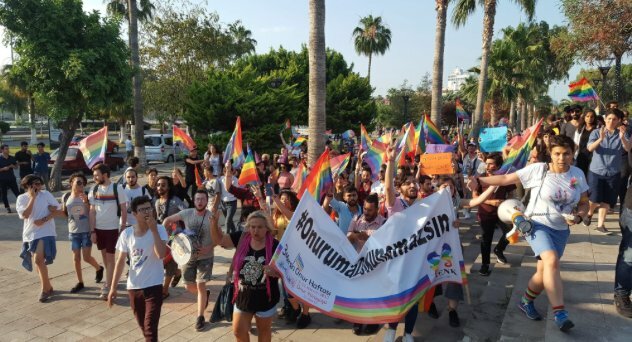 Third time in its history, Mersin’s LGBT community dressed in rainbow attire and culminated with a rally in gay-friendly Mersin marina on Sunday in order to mark one of the largest organized gay pride festivals in Turkey. According to Sendika.org news portal, the parade was left half-finished as a group of at least 30 homophobic people attacked the parade. Police reportedly detained at least 20 of the attackers.